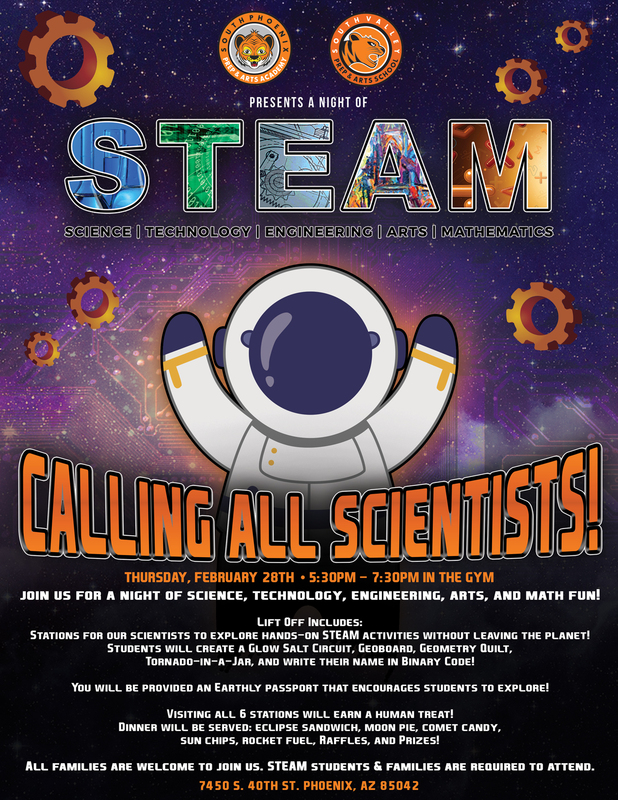 Join us for a Night of Science, Technology, Engineering, Arts and Math fun! 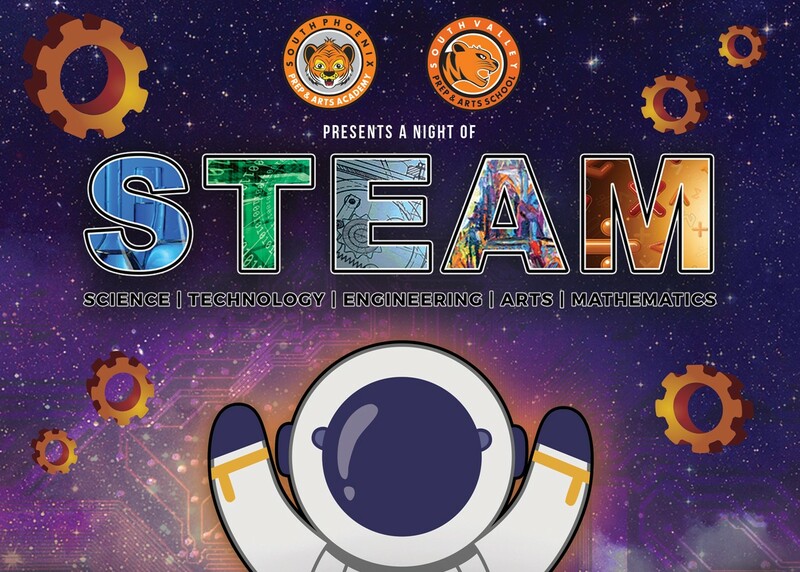 There will be hands- on stations, dinner, raffles and prizes! If you attended the first one in the fall, you know it’s an event you don’t want to miss! Click Here to download the flyer for more details. Per A.R.S. § 38-431.02 Notice of Public Meetings for the South Valley Prep & Arts School Board of Trustees will be posted on this website and on the front office door at the address below.